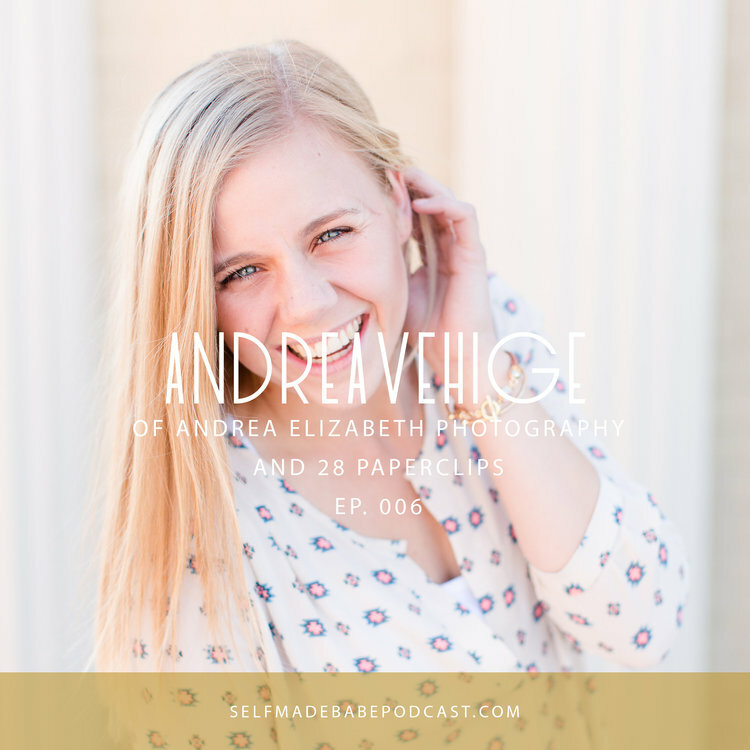 Joining Dannie and Lola on the Self Made Babe Podcast 006 is Andrea Vehige, the photographer behind Andrea Elizabeth Photography and owner of 28Paperclips on Etsy. I’m a firm believer in taking chances and the thrill of entrepreneurship. But I'm not alone in my belief because my grandpa started a racetrack, my parents own a business, and my sister runs an Etsy store as well. I guess you could say business runs in the blood because I’ve decided to follow my dreams with all I’ve got. Instead of going to college, I decided to travel the world and become a photographer. For the past few years, I’ve experienced different cultures and countries around the globe, and--unlike other people my age--I took a chance. Photography allows me to express my creativity and be my own boss, both of which are important to me. I’m not just a girl with a camera. I really care about my clients and I shoot weddings because I love LOVE and I’m there to document their special day in a unique way based on my experiences. If you’d like to learn more about who I am and my photography, contact me or follow me on social media!